Working in Downtown Tempe and the Endless Possibilities! What’s it like to work in Downtown Tempe, you may ask? Well, we set out to find an answer to this question and we found it! We tagged along for lunch with Nancie Lopez (pictured below) and her friend Gabriela Rubalcaba (pictured walking with Nancie) who both work in Downtown Tempe. 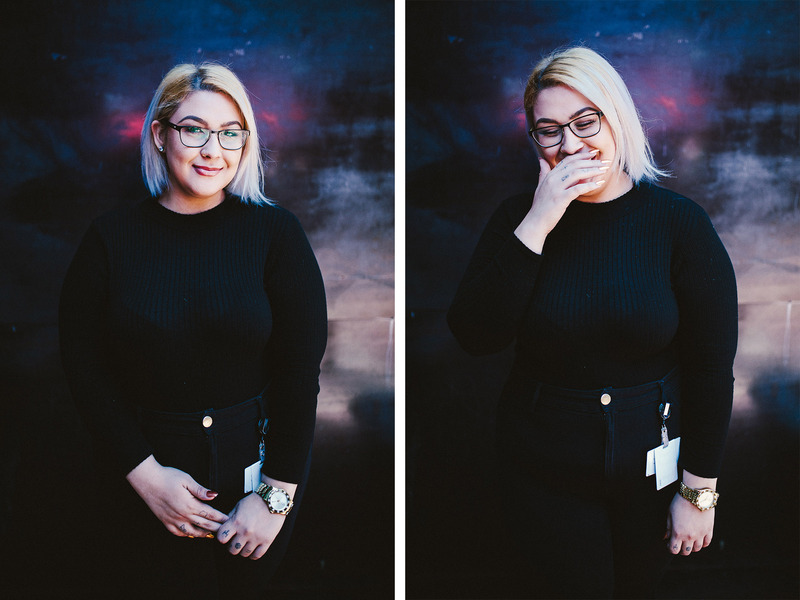 We had them pick their favorite lunch spot and ended up chatting over some tacos at El Hefe. Since they have an hour and a half for lunch time (lucky gals!) we decided to tag along for their entire lunch expedition. Yes, they have time for lunch and other activities... sign us up for that job! DTA: So, Nancie, what is your favorite part about working in Downtown Tempe? Be honest, if you don't like it, don't lie to us! Nancie: Do you think if I didn't like it I would have agreed to this interview? Well, it's nice to be able to leave the office and find something to do. Even if that "something" is just walking around Mill or chilling out and reading a book by the lake, it's nice having a ton of options so close! I don't have to drive anywhere for food -- the possibilities for lunch time are endless and since we don't drive anywhere, we have time for other activities. DTA: Awesome! We're glad you mentioned food... that leads us to the next question! What places do you hit up for awesome lunch deals? Nancie: Well, by this point, we seem to gravitate to the same 3 places: Slices, Med Fresh, and El Hefe. We do spice it up from time to time though. When we are feeling indecisive we hop on the lunchtime trolley and just hop off when we see somewhere that looks good - there's a always a new place to try. But we usually return to our go-to rotation.. ha! DTA: All of those places are delicious - we don't blame you! Well, after satisfying hunger, what do you do after? DTA: Cool - what places do you like to shop at? DTA: Alright, well, we talked about everything that you love here already, what would want here that you don't already have? Nancie: We already have a lot of food options, but a "Whole Foods" would be awesome. DTA: Funny you say that... a Whole Foods is going to show up soon! But alright, let's not end on that note, what is the your absolute favorite part of working down here? Nancie: We get free parking for Mill at night. We have a tradition we call the "holy trinity" for Downtown Tempe at night. DTA: The holy trinity? What is that... should we even ask? Nancie: The holy trinity: Cue Club, C.A.S.A, El Hefe - we start at Cue Club, move on to C.A.S.A, then end up at El Hefe to finish off the night. Oh, and Spinillis or Slices for some good pizza afterwards. DTA: Wow - that sounds like a blast! Glad you both like working down here! 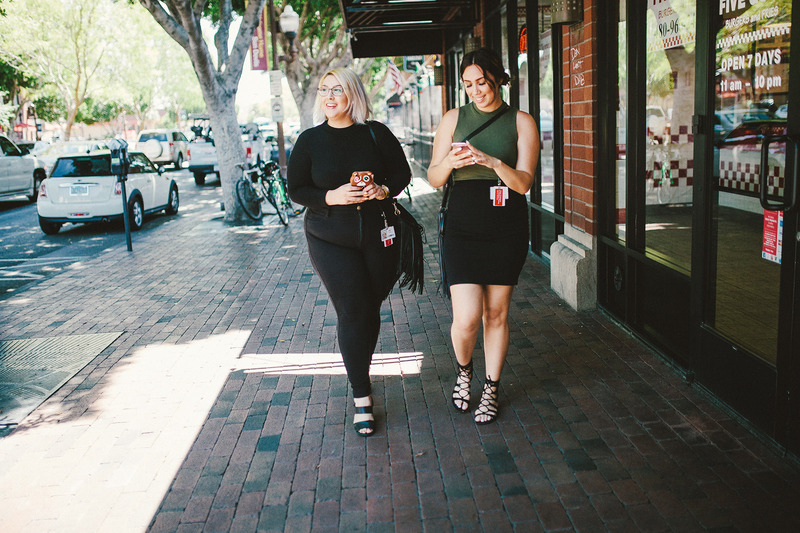 In summary, working in Downtown Tempe means you can enjoy a good job, have a ton of restaurants to pick from for lunch, go shopping, and have a fun night all in one place. Oh, and you get free parking. So, tell us, do you have your own night-time ritual? A holy trinity of your own? Let us know! Don't forget to tag #DowntownTempe so we can see all the fun you have during lunch time and after hours. We can't wait to see!